The Tri-Five Chevys are considered by many enthusiats as the golden age of Chevrolet. The vehicles produced in 1955, 1956, and 1957 are some of the most iconic American cars of all time. Tri-Five chevy usually rings an image of the Bel Air, however let us not forget the Chevy 210, 150, and the Nomad. 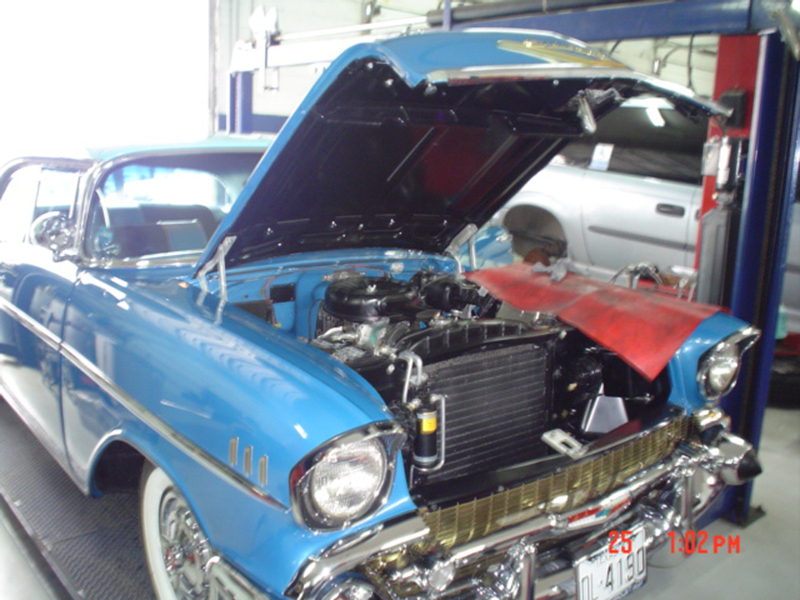 Please enjoy the pictures of the classic Tri-Five Chevy restorations we have done here at Wilson Auto Repair. 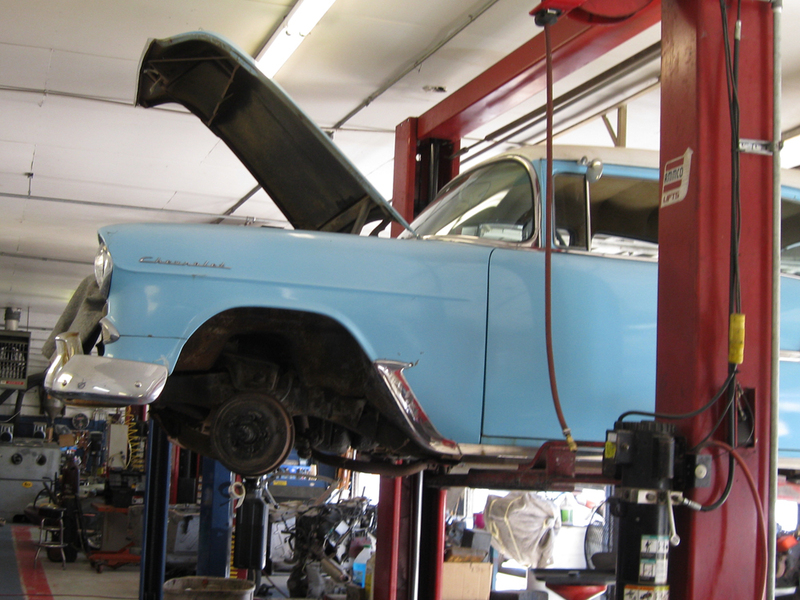 Also check out these video slideshows of Tri-Five Chevy repairs and restorations we have done at WIlson AUto Repair. This vifrst video is of a mild Restoration on a 1956 Chevy. 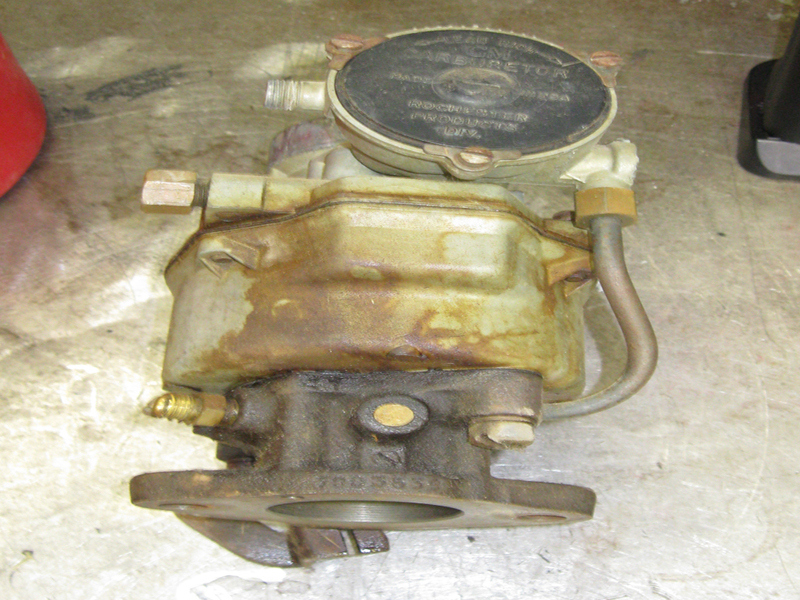 It received an engine bay restoration, suspension upgrade, and s power glide transmission rebuild. 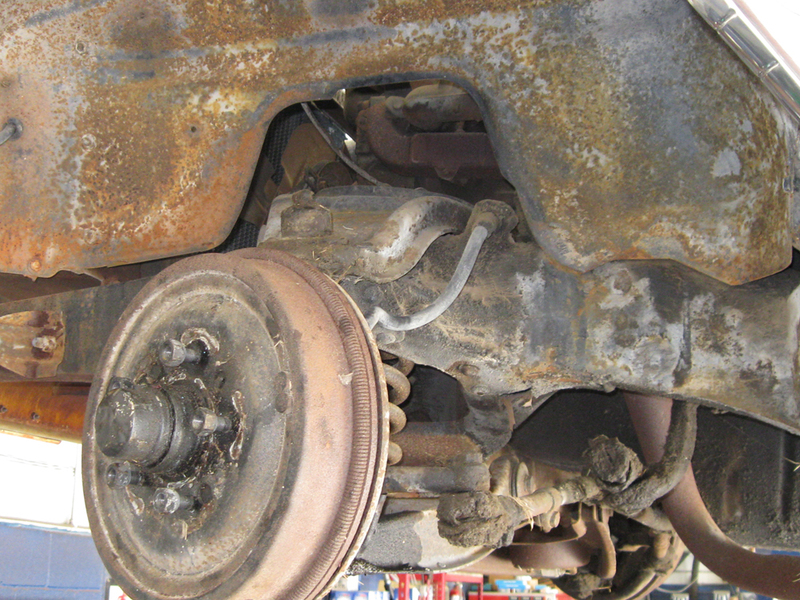 Here is another video of a 1956 Chevy getting a disc brake installation and suspension repairs. In this video, a 1956 Chevy is getting a deep cleaning and applying a coating to the underside. 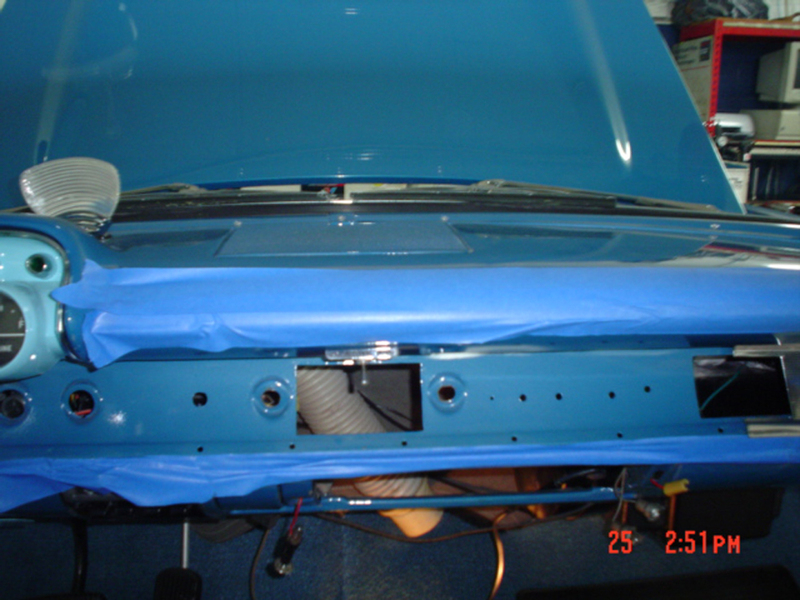 Watch as we install A/C vents in the dash of this 1957 Chevy. We also repair the front window seals and install an aluminum radiator. 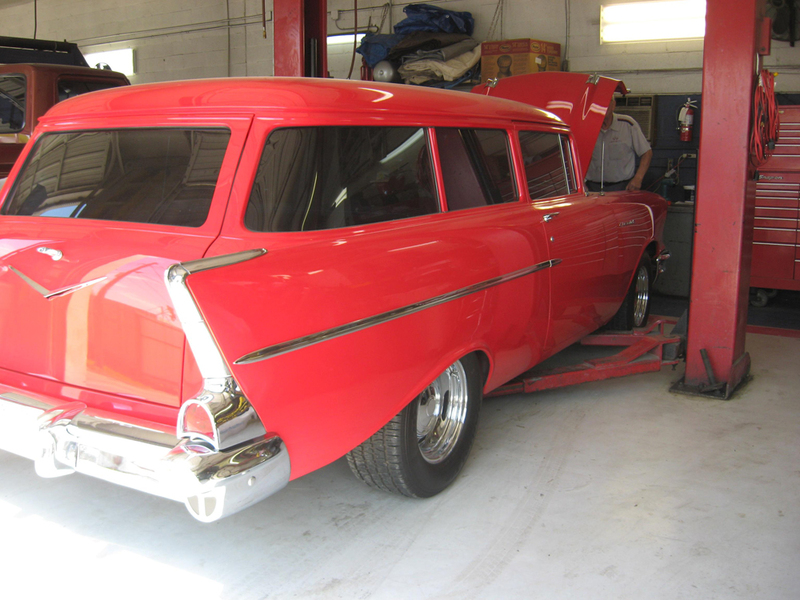 Check out this video where we install front bucket seats in this 1956 Chevy. 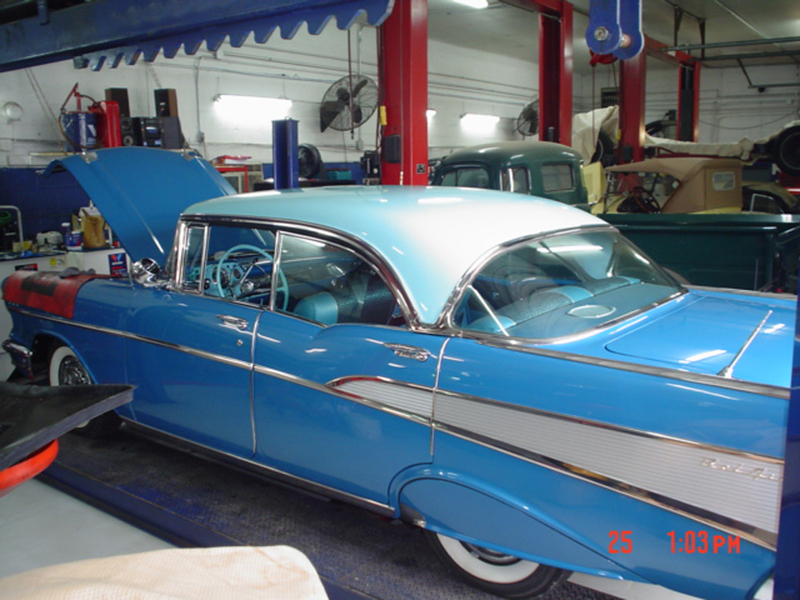 Watch all the work done to this 1955 Chevy that was done at Wilson Auto Repair. 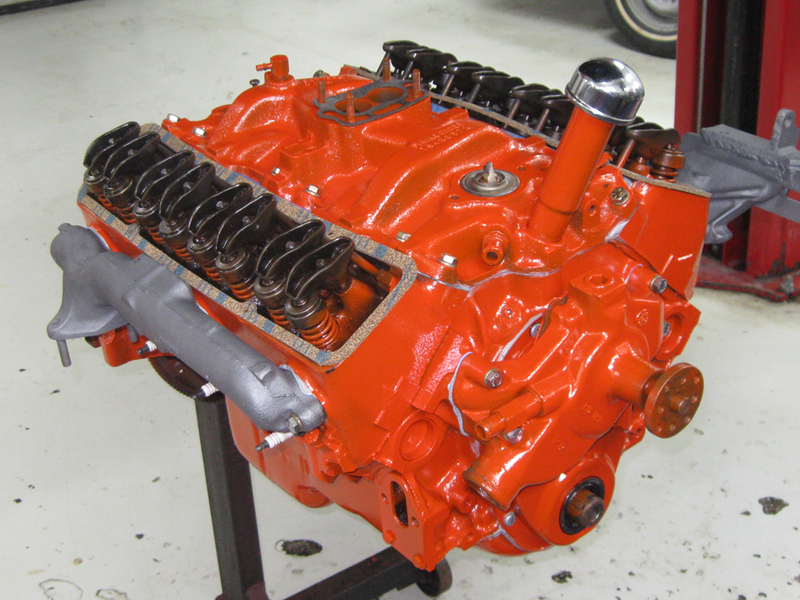 We swapped out the 6 cylinder motor for a V8 engine. We also painted the engine compartment and welded in an engine perch.